Laptalo sits in her classroom as she recalls her childhood and her past path towards becoming a teacher at Paly. Photo by Morgan Keller. 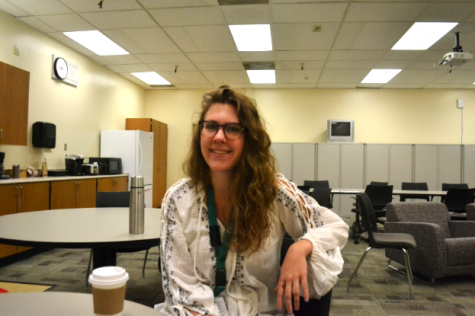 This is the ninth installment of Coffee Chats, where The Paly Voice gets to know staff members over a cup of coffee or tea. 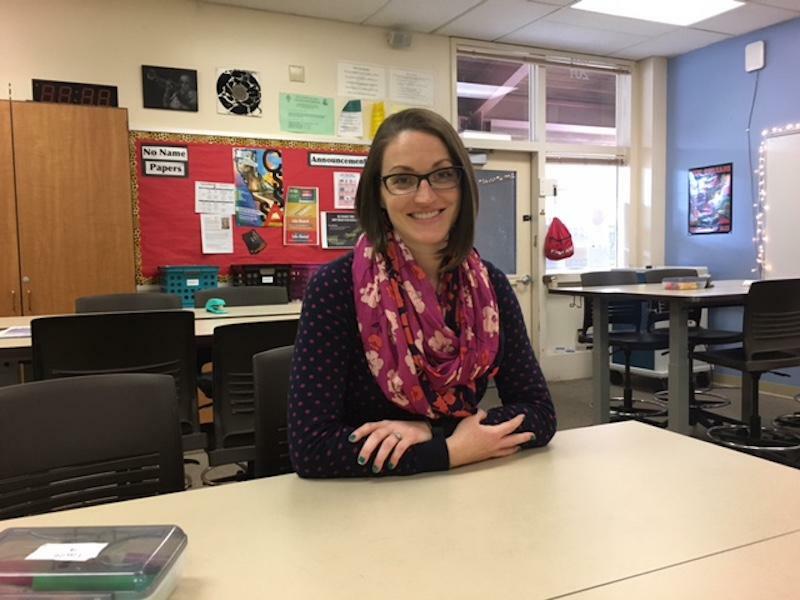 The Paly Voice sat down with English teacher Melissa Laptalo, and discussed her path to becoming a teacher as well as her life outside of Palo Alto High School. This is Laptalo’s sixth year teaching at Paly, and twelfth year teaching in total. 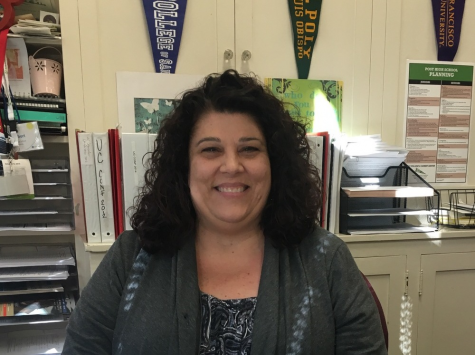 Before joining Paly’s staff, Laptalo taught at a variety of schools around California. 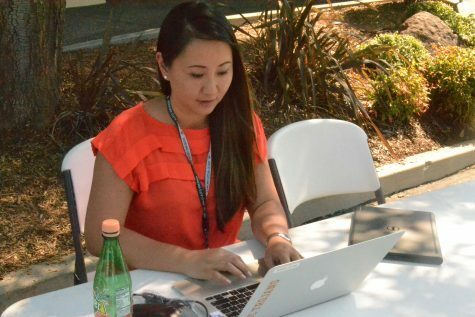 Ever since high school, Laptalo knew she wanted to do something related to education. 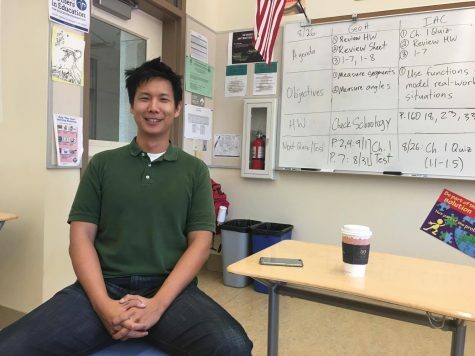 While studying at Cal Poly San Luis Obisbo, Laptalo decided on becoming a teacher. 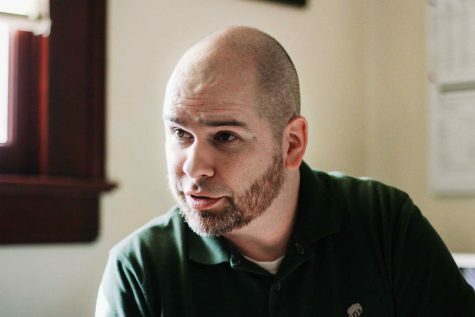 Laptalo’s original plan was to only major in and teach speech communication. However, after speaking to her college advisor and learning that teaching speech communications was not something she could easily do full time, Laptalo decided on majoring in English while taking some speech classes as well. At Paly, Laptalo teaches the Communications class and Leadership class for juniors and seniors. 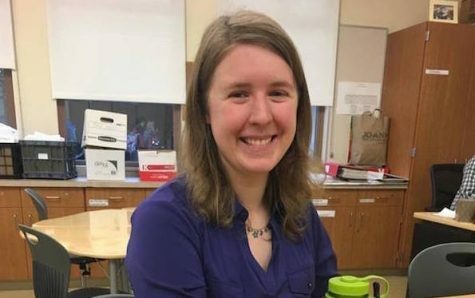 She also teaches World Literature for seniors, however the courses she teaches changes every year. Teaching the elective she was originally interested in majoring in is very exciting and new. 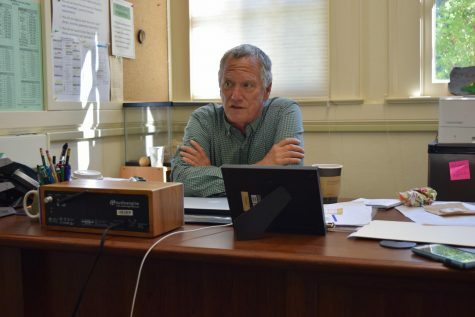 “I always wanted to teach communications, so it’s exciting for me this year,” Laptalo said. Next year, she will be taking off the fall semester to have a baby but return in the spring to continue teaching, according to Laptalo. Laptalo did not grow up in the Bay Area. In fact, when she was a kid, her family moved around so much because of her dad’s job that she never stayed in a school for longer than three years. Laptalo was born in Alaska and then moved to many different states, including Washington, Idaho, California and Nevada. However, Laptalo positively recalls the constant movement because it taught her to adjust quickly to new environments, according to Laptalo. 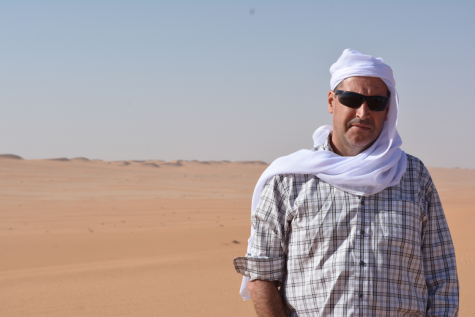 Outside of teaching, Laptalo’s favorite thing to do is to try new foods and eat. On vacations, Laptalo and her husband plan their travelling around the restaurants they want to go to. At home, Laptalo occasionally likes to cook although her husband does the primary cooking because of his skills in the kitchen. They also use fresh ingredients from his garden at their house. “I really enjoy the act of eating as well as looking at the presentation of food and trying different food pairings together,” Laptalo said. While Laptalo is very professional in the classroom, outside she is a different person. This is because she tries to act professional in her work setting. However, Laptalo thinks that who she is outside of work would surprise many of her students, according to Laptalo. 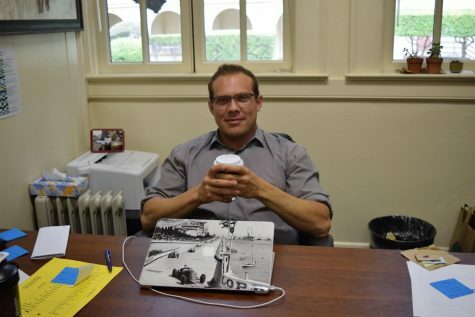 Laptalo loves working at Paly and really enjoys the whole environment. She enjoys how motivated and excited students are about their work compared to some other schools she has worked at, according to Laptalo. 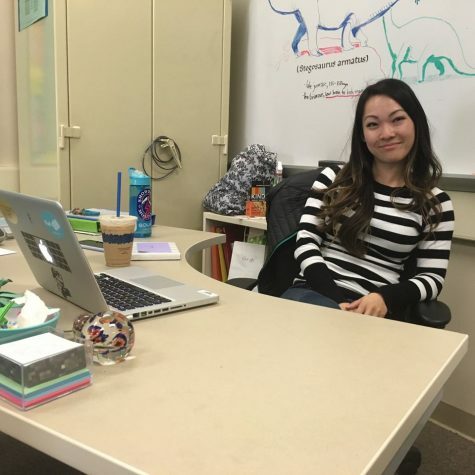 While she loves the hardworking and motivated spirit of Paly students, she is saddened when her own students do not recognize their brilliance. She believes that her students will be very successful but they do not always see that about themselves. She has many students who feel down about their work or do not feel good or smart enough.